As a young boy, Ralph Oxman attended a concert in Duluth featuring a famous British cellist, and he fell in love with the instrument. After being mentored by Duluth’s foremost music maker, Oxman would enjoy a decades-long career playing with some of the finest orchestras in the country. Ralph Sanford Oxman was born in Duluth on May 25, 1910. His father, William C. Oxman, moved to the Zenith City from the Twin Cities around 1907 and opened the Duluth Fur Company at 325 W. 1st St. with his partner, Harry Wenger. Oxman married Mary Oreckovsky on January 6, 1909, at the Adas Israel Synagogue on Third Street and Third Avenue East. After the wedding, the 250 guests proceeded to the old Masonic Temple on Second Avenue East and Superior Street for the reception. About the time Ralph was born in 1910, the successful Duluth Fur Company moved to more spacious quarters at the Commercial Club Building at 404 W. 1st St.
Ralph’s mother Mary, the first Oreckovsky born in the United States arrived in Duluth on May 25, 1888, as the daughter of Joseph and Hannah Oreckovsky. According to the family history, The Oreckovsky Family: From Russia to America, Joseph had arrived in Duluth four years earlier, after he and several relatives walked most of the way from the East Coast with several relatives following the construction route of the Canadian Pacific Railway. Hannah, Joseph’s first cousin, arrived a little later and they married. Joseph was a merchant and tailor. They eventually had six children—one of Mary’s brothers was Jimmy Oreck, who opened the famous Flame Restaurant at 1400 London Road in Duluth in 1930, later moving it to the base of 5th Avenue West and the bay front. Family gatherings continued all throughout the years. Our house was a favorite meeting place. Mother would play all of the current songs as those who fancied themselves opera singers gathered around her to sing their hearts out. Ralph became interested in the cello, as a family story goes, when he attended a concert by British cellist Beatrice Harrison at the Duluth YWCA auditorium. Shortly after, he began studying cello at the Lachmund music studio in the Temple Opera building and later studied with Alphin Flaaten at the Flaaten Conservatory of Music in Duluth. Flaaten had his own orchestra, which played (often on the same bill as the Armory’s 3rd Regiment Orchestra) at many public and private events, everything from weddings to the Masons’ elaborate ceremonies surrounding the laying of building cornerstones. Flaaten became a charter member of the Duluth Symphony and its principal cellist for many years. He was also something of a mentor to Oxman, encouraging the young cellist to continue studying his instrument. After leaving Juilliard, the Julius Hartt School of Music in Hartford, Conn., hired Oxman to teach cello; at the same time, he pursued performing work in New York. And he was busy outside his career as well, marrying fellow Julliard grad Mary Katz on February 6, 1933, in New York City. 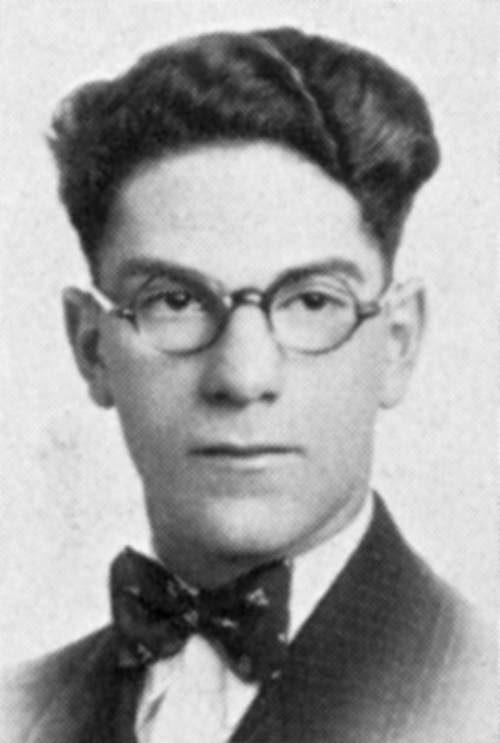 In about 1935, Oxman moved back to Duluth with his wife to take a job playing with WEBC radio’s studio orchestra. The couple made extra money giving music lessons. Oxman played in a few Duluth Symphony Orchestra concerts along with his former mentor, Alphin Flaaten. On April 24, 1936, the DSO accompanied baritone Julius Huehn of New York’s Metropolitan Opera, with Oxman performing the cello solo in the orchestrated version of Carl Maria Von Weber’s Invitation to the Dance. Soon Oxman would be playing with the Metropolitan Opera Orchestra himself. The Oxmans left Duluth for the East Coast later that year, and soon Ralph was selected as principal cellist in the National Orchestra Association orchestra by music director Leon Barzin. Oxman also found opportunities to play with the Metropolitan Opera Orchestra, and in November 1939 he was named assistant cello soloist, the second most important cellist position. He held that job for four seasons. In September of 1943, Oxman became a cellist for the New York Philharmonic, considered the finest symphony orchestra in the world, under conductor Artur Rodzinsky. A year later, he was engaged as solo cellist with the CBS Symphony, a position he held until his retirement in 1974. During his 30 years with the CBS Symphony, Oxman played for many great conductors, including Bruno Walter, Thomas Beecham, Igor Stravinsky, Fritz Reiner, George Szell, and Leopold Stokowski. Following his retirement from the CBS Symphony, Ralph and Mary Oxman visited Duluth to present a cello and piano recital on October 9, 1974, in UMD’s Marshall Performing Arts Center, which had just opened in February of that year. Among other pieces, they performed Beethoven’s Cello Sonata No. 3 in A Major, Opus 69, and Handel’s Viola da Gamba Sonata in C Major. He continued to teach and gave an occasional performance until his death in New York on January 10, 2006.